OUR SUNDAY MORNING MEETING AT THE GOLDMINE IS FROM 10.30AM TO 12PM. 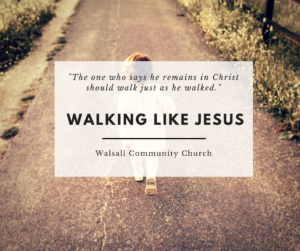 From the Goldmine Centre we aim to be a welcoming, engaged community, exploring together the greatness of God and looking to share that greatness with others including through helping to meet the social needs of Walsall. Our Church meets every Sunday at 10.30am for our Sunday Services, which last about 90 minutes. Aim to arrive 10 minutes early to ensure you get a parking spot and seat in time for the service to start. We meet at: The Goldmine Centre, 14a Lower Hall Lane, Walsall, WS1 1RL. There’s a small car park on the forecourt of the Goldmine that we try to keep clear for visitors. Most people tend to park at the additional car park in front of Millenium House at the entrance to Lower Hall Lane or in the street parking (free on Sundays) along the road. There are some disabled bays directly next to the Goldmine. Please show regard for our neighbours including businesses and don’t block their driveways or park on the Halfords forecourt. You will receive a very warm welcome, and our Welcome Team will be able to answer your questions and direct you to where you need to go. There will be 30-40 mins of singing, then the children and youth go to their age-appropriate groups. There is then usually a talk from the Bible, and the service concludes with a chance to respond, prayer and normally some more singing. Twice a term we have a more extended time of sung worship and response and take communion together. Tea, coffee and biscuits are served after the service, where there is plenty of time to meet new people and ask more questions. What ARE YOU TEACHING ON THIS TERM? We’re preaching on the life of Jesus in the gospels as a pattern for imitation for Christians. Over this term we’ll be looking at different aspects of His life and how we are to walk like Him in our contexts. What is available for children at church? We have a fantastic programme for children & young people aged 0–14. Children stay with their parents at the start of the service as we worship (sing songs!) together for the first part of the morning. Under 5s go out just before the talk to their sessions in Room 208. For more information about our Children’s & Youth Work, please see that booklet. No! Please just be yourself – people at WCC tend to dress informally. Lots! We have small groups meeting in homes on most weeknights and also have a programme of Encounter events where we pursue God in unhurried times of worship.